Yvonne & Brooke Setting Up! The Maggie Brooks team of Yvonne & Brooke made the trip from Atlanta to Columbus, GA to be on the Dee Armstrong show on Tuesday 9-18-12. It was great fun. I thought I would be nervous, but we worked hard to prepare for the show. We gathered all of our ingredients & measured them out. We even practiced making the recipes even though we had made them several times. All of the folks at the show were so nice. We didn’t feel out of place at all. We really do hope that this is the 1st of many, but if this is the only one we do it was completely worth the trip. Okay, let’s be honest, cooking with children takes twice as long as just getting it done. Right? I have been in the kitchen with my very young children wanting to measure something for me in a glass measuring cup. All I could see was milk going everywhere and stitches in someone’s foot from the glass all over the floor. I must say I have always enjoyed cooking. I was that curious little kid in my grandmother’s kitchen and my mom’s kitchen. Thank goodness they both had the patience to let me spill milk and try again and again until I got it right. To tell the truth because of them I was always patient with my kids. Both of them have fun in the kitchen. They are confident in the kitchen. They are now teenagers and don’t need my help in the kitchen anymore, but every now and then one of them will ask me to teach them how to make one of their favorite meals. Wow, does that make every spilled glass or bowl worth it. Take the time to cook with a kid. Not only will it make you more patient, it will give a new generation a valuable skill and hopefully a love of cooking. Keep the cycle going. Who knows when a budding chef might be inspired. I am not sure what made me think of the new recipe that i came up with today. I made Spicy Cheeseburger Mini Corn Muffins. I browned & spiced ground beef. Then i added some jalapenos. You need to let the meat cool down & then mix in some cheese. Now it is time for the cornbread. Once it is mixed up, you spoon in some cornbread mix into a prepared mini muffin tin. (you need to spray it with non stick), then add the meat mixture. don’t make it too full. Top with another spoonful of muffin mix. After they set up for a minute or 2, these little muffins come right out & are delicious. They turned out like jalapeno cornbread with cheesy hamburger in the middle. This will be in the newest Love of Cooking: Beef book that will be out this week. Don’t you just love it when an experiment works? Tell me about a cooking experiment that turned out better than you expected. Giveaway ends September 19, 2012. This is the 1st book of our Holiday Series. 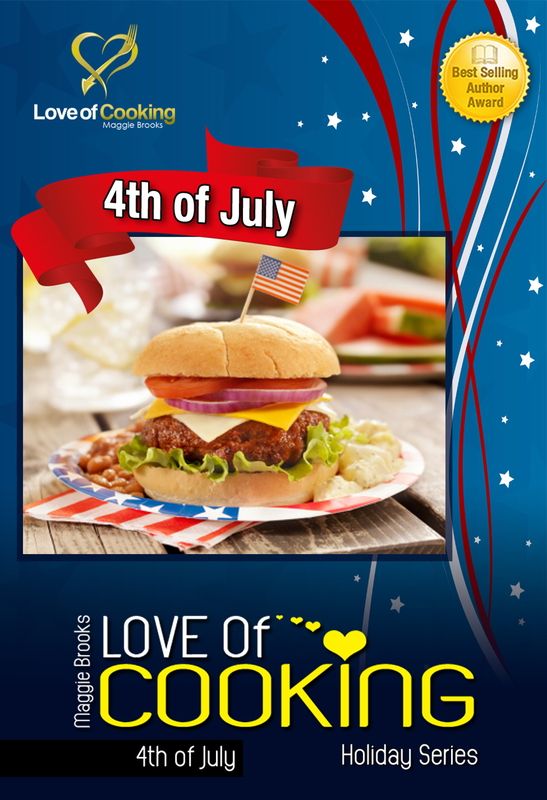 The recipes are great to help celebrate the 4th! From Snacks to Desserts there is something that everyone will love. Red, White & Blue Chip Dip , Broccoli & Raisin Salad, Easy Pulled Pork & Homemade Vanilla Ice Cream just to name a few. You need to grab this one up no matter what time of year it is. Enjoy! This is Book I in Love of Cooking: Volume II. There are chicken appetizers, chicken salads, chicken soups & chick main dishes. It is chicken everyday & every way! Enjoy! 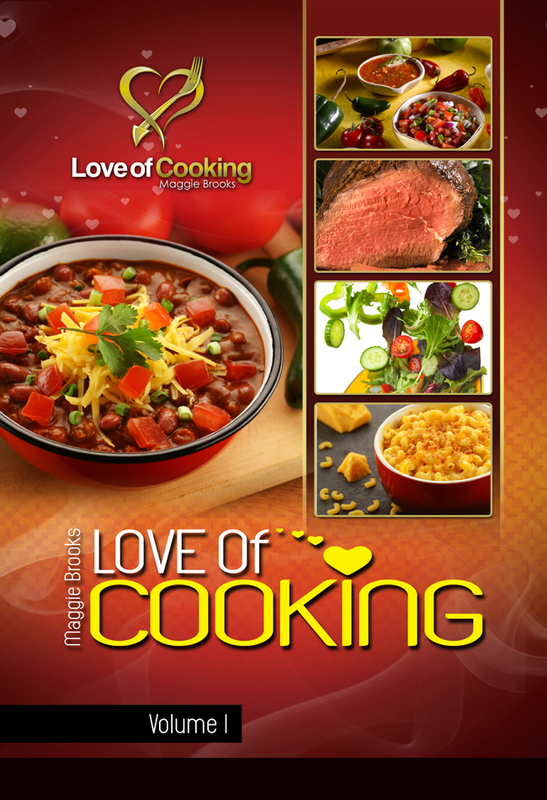 This is the 1st full volume of Love of Cooking Books. It includes Books I thru V. LoC: Appetizers, LoC: Salads, LoC: Side Dishes, LoC: Soups, Stews & Chili & LoC: Main Dishes. This book has over 250 recipes. They are so easy to follow that anyone can use this cookbook to become a pro. Enjoy! 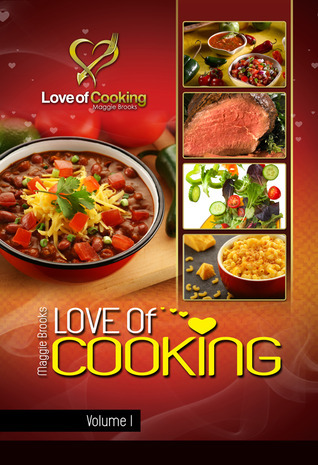 This is book II in the Love of Cooking Holiday Series. These books are meant to help you make your party complete or have something special to bring to a friends house. There are recipes for drinks thru desserts in this one. Make your last blast of summer a real blast! Available online for kindle & in paperback. Enjoy! This book will help with finding the perfect center piece for any meal. There are meal main dishes of every kind. You will find something for all the different taste in your household. Take the guess work out of dinner.